When investing in a renovation project, most homeowners tend to replace windows and doors together. And more often than not, this means doors at the back of the house as well. And while with most entry doors it is about security and protection, there are definitely some options when it comes to the back door. The two most popular, but very different choices for large openings are the garden door and patio door. Although most companies sell and install both options, many will recommend patio doors as a more practical and convenient choice. Here is why. 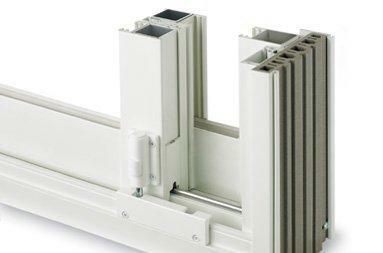 The main reason most product consultants and customers prefer patio doors is their energy efficiency. Essentially a vinyl sliding patio door is an oversize window. It combines all the standard features and potential add-ons that come with energy efficient technology. Just like custom windows, patio doors can be made in a double or triple pane option, and with an addition of Low-E coatings for UV control. Patio doors are more efficient, provide more light, and take up less space than garden doors. Garden doors are usually made from a combination of steel and wood and lose heat much faster than vinyl. They also can’t be made in a triple pane option, and, therefore, lose out significantly to patio doors in terms of energy efficiency. Just like with your new windows, chances are you want the opening at the back of the house to provide a lot of natural light. This is also an area where patio doors excel. Because of their designs, sliding doors maximize the glass surface area and the ratio of glass to frame, providing you with an unobstructed view of your backyard or property. The steel and wood design of garden doors leaves much less space for glass. Depending on where you live, that may be a desirable option – sometimes privacy is more important than a good view. One thing clients don’t always consider when getting a garden door, is how it will interact with their deck or back patio. Patio doors are excellent at maximizing your space because they don’t open outwards. The sliding design lets you keep full control of your deck, without impeding on space. The only advantages garden doors have in this aspect is that they can be made as a double door. When opened, double doors provide the biggest opening possible making it easy to move furniture and appliances in and out of the house. They may also be a good choice for pet lovers, as it is often possible to put a pet door in, though at the expense of energy efficiency. Another factor that makes patio doors better than garden doors are the additional security features that come standard with this option. While garden doors have just one lock, the sliding design of patio doors allows for the integration of an optional security bar or kick locks to prevent unwanted break-ins. This gives patio doors a three-tier level of protection. Garden doors look better and more unique from the outside. This is a great option if you want to add to or create a rustic look to your house. Double garden doors make it easier to move furniture or appliances. Garden doors can be customized with privacy or any other type of specific glass. When shopping for a window and door replacement consider factors such as energy efficiency, light, security, and the physical space these units take up. Properly planning your replacement will not only ensure you get the product you like, but also one that is perfect for application in your home. 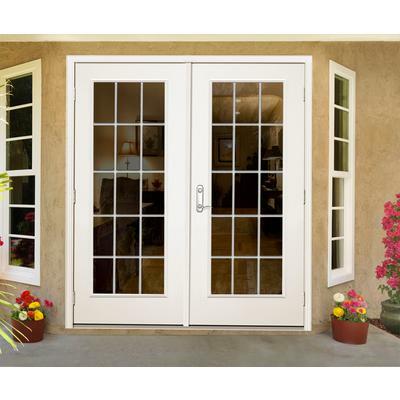 4 Advantages of Patio Doors Over Garden Doors Overall rating: 4.9 out of 5 based on 41 reviews.